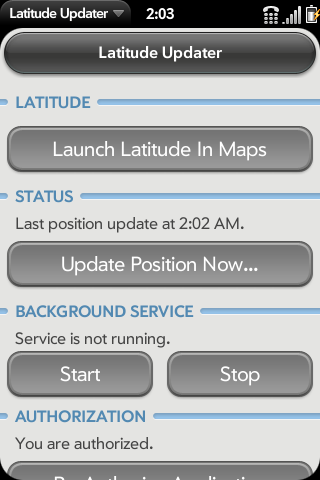 This application allows you to update your position on Google Latitude. In addition to that it can start a background service that updates your position automatically in a configured interval. The app also allows you to open Google Latitude in Maps. Note: A valid Google Latitude account is required. This app is free and Open Source but feel free to donate for it :).